For today I want to talk about hashtags. They’re used in social media like on Twitter and Instagram, but for the longest time, Pinterest wasn’t a place to use them. Bloggers all over told you never to use hashtags on Pinterest. Big no-no! In fact, Pinterest has said they were never a big fan in the beginning. They said hashtags on their platform don’t work like they do on other social media platforms and using them can confuse pinners. But, this recently changed and now Pinterest is promoting hashtags. 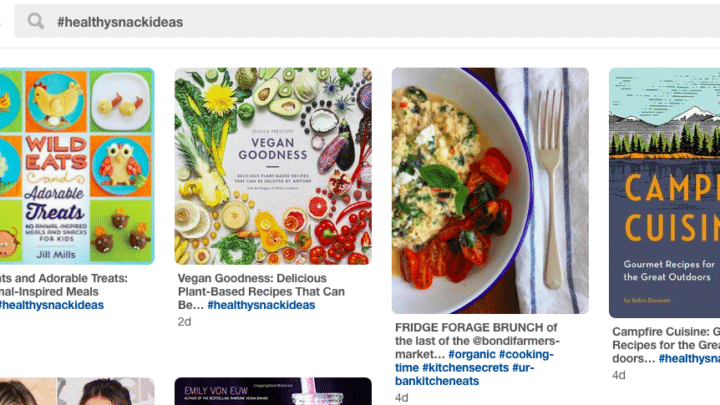 Hashtags on Pinterest are used as a way to search for the freshest pin. This means the most up-to-date and current pins are shown in the results feed (i.e. if you go back and use hashtags on older pins, they may not necessarily show up in the hashtag search feed) first. Currently, you can only use hashtags on your pin descriptions. Pinterest has made it easy to use hashtags. 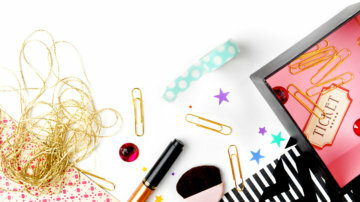 When you first pin your graphic from your blog, all you have to do is use the hashtag symbol “#” and Pinterest will populate the most popular hashtag suggestions. 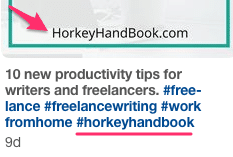 To find relevant hashtags plug in a keyword. For this example, I used blogging to open up the suggestions. The number next to the suggested hashtag is the number of uses. Pinterest’s Help Center suggests using no more than 20 hashtags per pin description. Depending on your Pin, consider using hashtags that are timely (e.g. #oscars, #backtoschool, #halloween) and/or hashtags for evergreen content that works well on Pinterest (e.g. 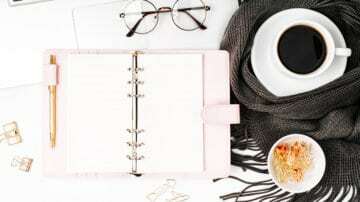 #mealplanning, #hairgoals, #homedecor). This is to help make it easier to for users to filter and find relevant content they are interested in. So, for your Pinterest hashtag strategy, try to incorporate time-sensitive hashtags related to your content (if it’s possible) as well as timeless hashtags. Some bloggers also brand their blog in a hashtag, but it’s not that common yet. On the note about using no more than 20 hashtags per pin description. Personally, I would use no more than 3 or 4 per pin. On your Smart Feed, Pinterest only shows up to 4 hashtags under your pin description, so any more just eats up the 500 characters you get for your pin descriptions. I suggest you place your hashtags at the end of your descriptions. 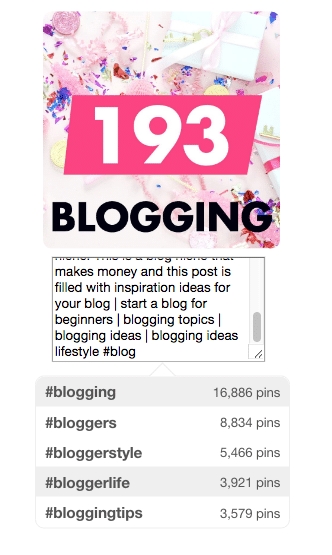 Hashtags on Pinterest are clickable and if you place them at the front of your description, you may draw a pinner away from saving your pin or worse, clicking over to your blog. What About Keywords on Pinterest? As of right now, keywords are still the best strategy you can have for gaining traffic from Pinterest. Pinterest is constantly changing, so only time will tell on whether the outcome of hashtags for increasing your pin views will be better than using keywords. 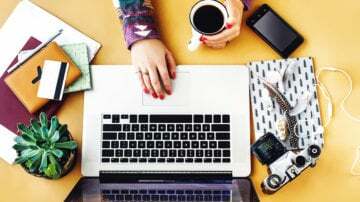 Day 2 of 12 Days of Pinterest Tips to Grow Your Traffic, List and Income! Be on the lookout tomorrow for day 3! Now it’s your turn – have you tried using hashtags for your Pinterest strategy? Tell me in the comments. And remember, to pin me!! I have to go back to old pins and include hashtags in order to be found and brought back! That’s awesome and thanks for letting me know where you found my blog! Hashtags are awesome and I use them ALL.THE.TIME! Thanks Elna! I use 4-6 hashtags with every post but thinking I’m doing them too broad. Thanks for the tips!! Thta’s awesome! Yeah, try to niche down so people can find your pin and not someone else’s! Good luck! I just pinned this blogpost to Pinterest with #hashtags. Thanks so much for stopping by! Glad you found some strategies to grow your traffic! Good luck!